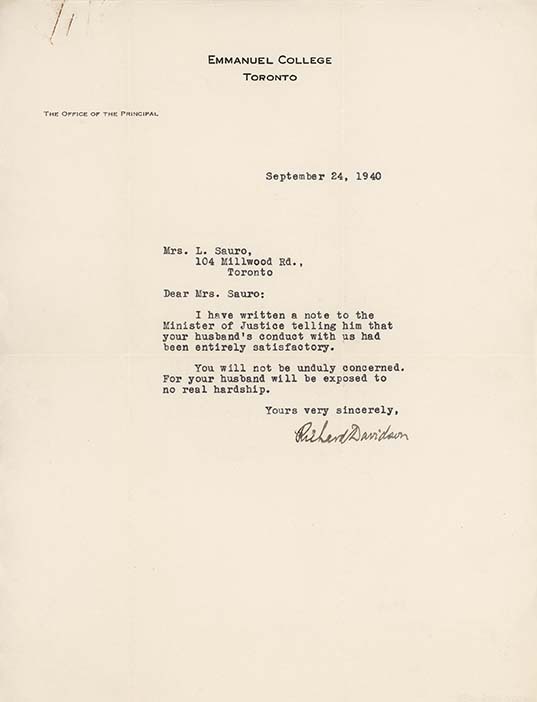 Letter from Emmanuel College, to Mrs. L. Sauro, September 24, 1940. Clementina was relentless in her mission to have her husband released. She worked tirelessly to gather written testimonies for use during her husband's hearing. In this case, she seems to have successfully requested a letter from Emmanuel College in Toronto, where her husband studied.